How can you give the cocktail party a miss when you are planning your big day? Before you officially become Mr and Mrs, how about a nice celebration for the upcoming event? Yes, we know, you want it as much as we do! That’s why we have the top 5 banquet halls in Hyderabad for you where you can host an amazing cocktail party. After all, nothing like downing a few tequila shots before you tie the knot right? There’s something about dancing till the end of the night and catching up on those old fond memories which the relatives start sharing when they gulp down a few drinks and remember the good old days. Host your cocktail party at Taj Krishna, Hyderabad and make the evening a memorable one. This grand hotel has lavish spaces both indoors and outdoors for cocktail parties. They can also set up the place beautifully to complement your occasion. To make your special day even more special, their in-house chefs can whip up a delectable feast for the guests. 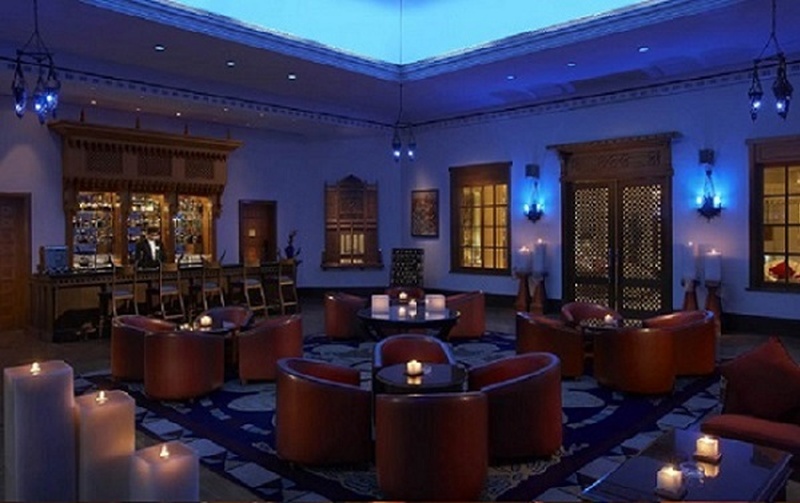 One of the best banquet halls in Hyderabad, Taj Deccan is a great venue for your cocktail party. Their in-house team of chefs can also whip up a delicious feast for the special day. Their spacious interiors and lavish outdoors make for a gorgeous cocktail party venue and will surely be a hit amongst your family and friends. When you host your event at the ITC Kakatiya, Hyderabad, you are treated to an evening of fun and entertainment with your loved ones. The elegant interiors can be set up to complement your occasion. Their in-house chefs also treat your guests to a delicious meal, to make your evening more memorable. Host your cocktail party at the Avasa Hotel, Hyderabad and make your party a night to remember. You can choose from their multiple spaces that are contemporary in design and also have traditional Indian patterns and textures. While their culinary experts come up with a gorgeous meal, their hospitable staff makes sure that your guests are well looked after and comfortable. When you host your cocktail party at the Marriott Hotel & Convention Centre, they make sure that it is made enjoyable and memorable. The staff makes sure that you and your guests are comfortable and feel right at home. They have luxurious indoor spaces that can be decorated to complement your event. With superior service and delicious food, Marriott Hotel & Convention Centre is truly one of the best party venues in Hyderabad.